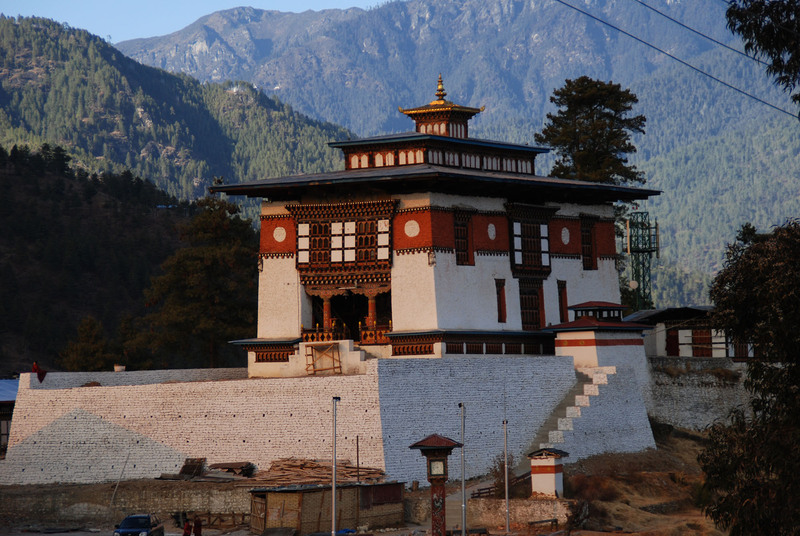 At the end of Gaden Lam is the Dechen Phodrang, the site of Thimphu’s original dzong. Since 1971 it has been the state monastic school, where an eight-year course to almost 500 monk students is provided. The 12 century paintings in the monastery’s Guru Lhakhang have been restored and the upper floor features a large figure of Zhabdrung Ngawang Namgyal as well as a goenkhang (chapel dedicated to protective deities and only men are allowed inside it). Dechen Phodrang literally means palace of the great bliss.